Winter is pretty much the only time I enjoy soups, but I’ve been eating a lot of soup lately. It’s so easy to make a big batch of soup – eating leftovers throughout the week and freezing the rest. And you know what goes perfect with soup?? Bread, of course!! 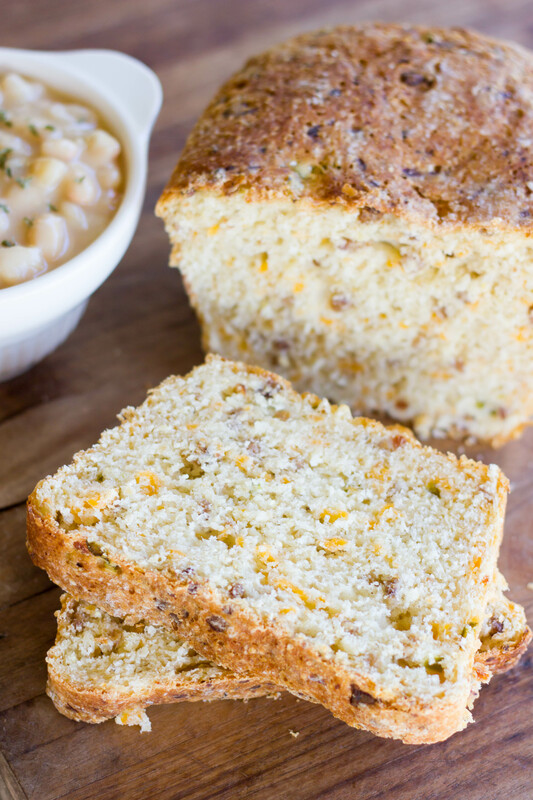 But this bacon cheddar jalapeno yeasted cornbread goes great with everything. 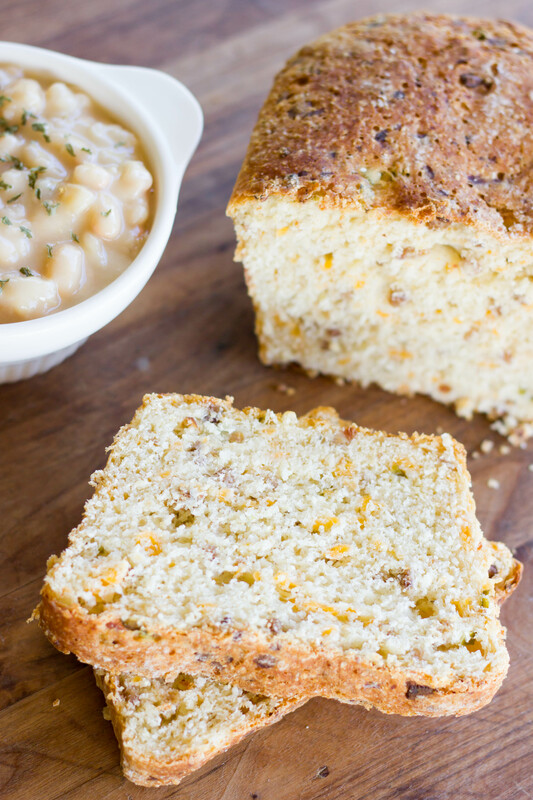 If you’ve never tried yeasted cornbread, it’s pretty much the best thing ever. The texture is amazing, and the combination of the jalapeno, cheese, and bacon is so good! But I mean, carbs + cheese + bacon…kind of hard to go wrong, right?? =) The heat level is very mild, especially if you remove the seeds from the jalapeno like I did. 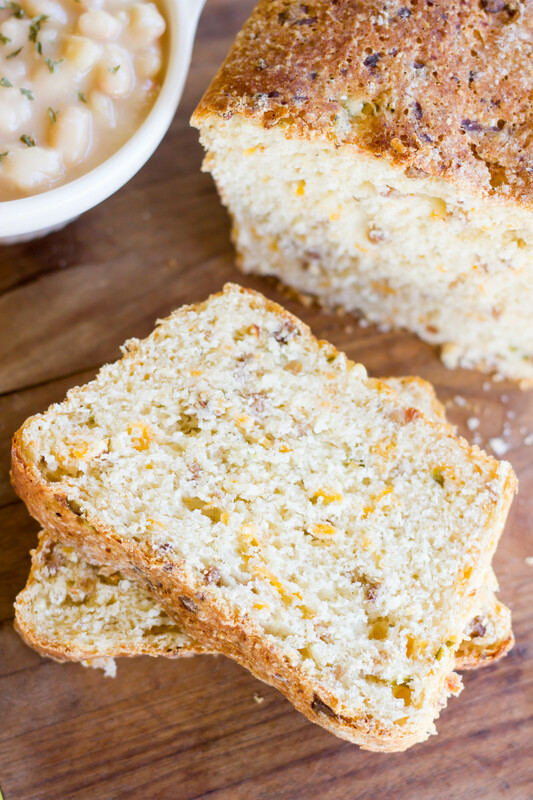 I think even kids would enjoy this bread, and I’m pretty sure leftovers would make a mean grilled cheese (or really awesome croutons! )…if you have any leftovers that is! Enjoy! 1. In small bowl, dissolve yeast in 1/2 cup warm water. Set aside. 2. In bowl of stand mixer with dough hook, combine the cornmeal, 2 cups flour, salt, and sugar. Add chopped jalapeno, cheese, and bacon and stir until combined. 3. Add dissolved yeast, butter, and buttermilk to cornmeal mixture. 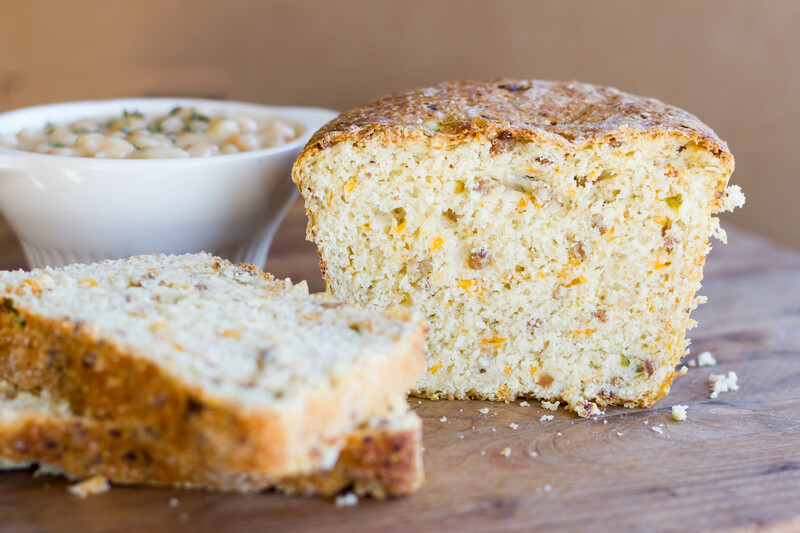 Knead until smooth – about 3-4 minutes – adding additional 1/4 cup flour if necessary. 4. Place in well oiled bowl. Cover with plastic wrap and let rise in a warm place until doubled, about 1 hour. 5. Punch dough down; shape into a loaf. Place in greased 9×5 inch loaf pan. Cover and let rise until doubled, about 30 minutes. 6. Bake at 375 degrees for 30-35 minutes or until golden brown. Cool in pan for 5-10 minutes. Remove from pan and transfer to wire rack to cool until just warm before slicing.